The Font of Knowledge: Doctors! Listen up. A Practical Treatise on Midwifery. Robert Collins, MD. Longman, Rees, Orme, Browne, Green and Longman . London, 1836. Pages 526. Tables. I bought the book from R.D Gurney Ltd in 1977 for £65. I had seen it mentioned in the Gurney catalogue with a reference to the surprising fact that, long before Semmelweise, Collins had referred to the importance of hygiene in the prevention of puerperal infection. His predecessor and father in law was a Dr.Clarke who was unusually committed to cleanliness and hygiene in practice and who reported a low prevalence of puerperal infection. Collins describes his own efforts of frequent fumigation of wards, beds and bed clothes and general cleanliness which lead to a period of not one single death from puerperal infection during the last four and a half years of his Mastership. It is extraordinary that his colleagues in Dublin and in the wider United Kingdom ignored his findings and the findings of his predecessor with the result that puerperal infection appeared again in the Rotunda after his mastership had finished, with the high mortality associated with it at these times. Like many hospital infections which are endemic in our hospitals to-day, there were recurring outbreaks of infection with heavy maternal mortality in the maternity hospitals. Such infections were extremely rare among private patients during the eighteenth and nineteenth centuries because they were invariably delivered at home. Nor were Clarke and Collins the first to report good results with a programme of cleanliness. Reading A.M.Lysaght’s biography of the naturalist Joseph Banks (2), I found a reference to a Dr. White who in 1773 in England wrote a book on the care of pregnant women and on the technique of delivery, in which he claimed that he had never lost a patient from puerperal fever, simply through observing elementary rules of hygiene and ventilation. But his work was largely ignored and maternal mortality remained shockingly high until well into the next century. It was only towards the end of the 19th Century that a conservative profession accepted antisepsis and asepsis after the work of Pasteur. The Collins book is modern in its design and presentation. There is little difference in the arrangement of its tables of contents and those of a more modern book on midwifery. Apart from the detailed recording of events and the numerous tables included, the author refers frequently to the literature on his subject and is generous in his acknowledgment of the contributions of others. 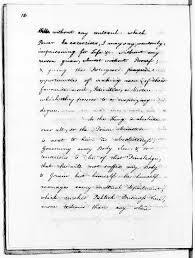 He is sceptical about the validity of the then currently accepted and fashionable forms of treatment, such as bleeding and purgation, although this does not prevent his prescribing the most bizarre forms of treatment for his patients with infections, convulsions and other complications. How so many of the patients survived bleeding, purgation, hot baths, counter-irritation and other active measures is a mystery and a remarkable tribute to the healing powers of nature. It is also a reminder of the need to look objectively at the value and possible harmful effects of many of our own present day interventions. Although evidence based medicine may be a very recent concept in the history of medicine, we are still committed to many unsubstantiated forms of treatment – no doubt thus retaining the art of medicine as well as the science. Dr Collins emphasises the importance of prevention in other situations as well as in the prevention of puerperal infection. This interest in prevention must have been the forerunner of the fine tradition in midwifery where prevention and intervention have gone hand in hand for many years, unlike the dichotomy between the two disciplines which still exists in the practice of internal medicine and surgery. One wonders if physicians and surgeons, in their neglect of prevention, are motivated by the pecuniary advantages of intervention as opposed to counselling, and the personal power they enjoy over their patients. In dealing largely with healthy mothers and children, the obstetrician has little choice but to advise about the factors which maintain the health of the mother and child. It is not my purpose to review Dr Collins’s book in detail, but it is an opportunity to review the mastership system as it has existed in Dublin since the establishment of the Rotunda in 1745. Much is written nowadays in the context of the large modern hospital about the structuring of medical staff and about organisation and administration. Relations between the medical staff and administration have inevitably given rise to some serious difficulties because of the necessity of both in to-day’s modern hospital and because of the difficulties inherent in defining their respective functions. Doctors in demanding an independence of action in relation to their vocation and in attempting to maintain the highest professional and ethical standards, may find themselves in conflict with some administrative decisions. Currently we are faced with serious problems in the organisation of our health services and particularly our hospital services. These include the cost of modern medical and surgical interventions, not all of which are based on evidence based medicine, and the burgeoning use of drugs and of investigations, some of which can be hazardous, expensive and even unjustified. The physician and surgeon should have the final decision about the investigation and treatment of patients but, in view of the complexity of modern medicine and the fallibility of each one of us, no doctor in hospital practice should be allowed to practice in isolation. Accountability through proper staff communication and audit are imperative and this can only be done acceptably and properly through a proper staff structure. We are all fallible but we should make every effort to protect our patients by ensuring that our professional intervention will not cause harm. No doctor should be reluctant to accept surveillance by his own colleagues and no doctor should be allowed to practice without some accountability to his profession and to the public. In my opinion this is particularly important in private medicine and in private hospitals where the consultant has less contact with his colleagues. The increasing need for accountability is the result of the failure of professional standards, knowledge and judgements to keeps pace with the burgeoning increase in medical technology and skills and the decline in clinical skills. The need is further increased by the very powerful financial incentives which exist in certain areas of medical practice. It is no wonder that there is increasing pressure both within the profession and outside for audit and accountability. In the free enterprise system of medicine existing in most Western countries it is obvious that many doctors are motivated as much by their own financial and personal ambitions as by their professional and ethical obligations to their patients. It is inherent in the doctor-patient relationship that it is the doctor who mainly decides about the nature of intervention and who receives the financial reward. When the rewards are considerable, as in the case of surgical procedures and invasive investigations, it becomes clear that professional standards and the well- being of the public must be safeguarded, and be seen to be safeguarded, by some form of peer review and professional accountability. This is particularly relevant to private hospitals and private practice. It would be unwise to deny the difficulties of establishing a satisfactory peer review system in our profession. Apart from the prejudices and denials of some colleagues who would oppose any form of supervision, the increasing division of medicine into many different and highly specialised areas makes general peer review more difficult. However, good standards of professional conduct and competence can be maintained by certain measures carried out within the profession itself. These measures would depend on regular staff reviews, and the publication of an annual report by each department. A Chief-of Staff should by appointed who would have adequate executive powers to ensure high standards among all his colleagues and who would have the responsibility to intervene when these standards might be at fault. The Mastership system in the Dublin Maternity hospitals has many advantages which might be applied in some measure at least to the structuring of the modern general hospital. The publication of the annual reports and the free discussion of these reports at the Royal Academy of Medicine ensure the highest of obstetrical standards. The Masters have sufficient power and influence to guide professional policy, to innovate and to intervene if necessary in relation to professional standards and performance. Their appointment is limited to seven years, thus obviating the danger of a permanent dominance by any one person and of the many disadvantages arising from a long tenure of office, a situation which is all too frequent in our general and teaching hospitals where progress may be retarded by the excessively conservative and long-standing influence of some colleagues, such as the professors of medicine and surgery. It is also an advantage that the master is not necessarily appointed from the in-house staff, although he (or she) is apparently assured of continuing on the staff after the term of office is completed. No doubt unsuitable or unfit masters may have been appointed but, because of the background of the candidates and the certain awareness of their qualifications, the poor appointment must have been relatively rare. For every poor appointment there must have been many who made a contribution to the high standards of midwifery which has made the Dublin school of midwifery internationally famous. I would suggest that each general hospital should have a Chief of Staff elected for a limited period by his colleagues. He or she would have the same administrative standing as the chief executive officer of the hospital and would be granted special sessions for administration. 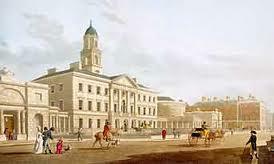 He would chair a medical committee which would include the chairmen of the major medical departments of the hospital. He would be responsible for standards of accountability among his colleagues and would have certain disciplinary powers. About thirty years ago the Cogwheel Report was published in the United Kingdom (2). It advocated a medical structure somewhat along these lines. It seems puzzling to me that the Cogwheel recommendations were not widely accepted. There may have been professional resistance to the proposal but I am sure such a staff structure must be part of hospital organisation in other countries. My views on the current hospital system in Ireland can be found in my monograph published in 2006 (3). 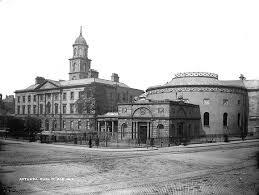 I believe the high standards of Dublin midwifery and the international reputation of the Dublin school must rest squarely on the mastership system and on the professional accountability of the maternity hospitals. It also rests on the strong emphasises on health education and prevention, and the clinical management which is inherent in obstetrical practice in this city. This system should be retained and jealously guarded by our maternity hospitals. Its advantages should be remembered when we are trying to solve the problems of staffing and the administrative structure of our modern general hospitals. To return to the Collins book on midwifery, I would sum up by referring to his foresight and clinical judgement in controlling puerperal infection long before the bacterial origin of disease was discovered. Many of the treatment methods used in the early nineteenth century midwifery must have done more harm than good. They had no obvious rationale nor did they have any basis of evidence to support them. It was long before the concept of evidence based medicine was introduced but it is a reminder that we still practice medicine which has never been justified on the grounds of proper trials. 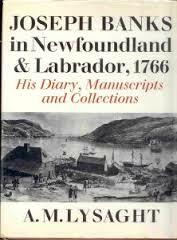 (1) Joseph Banks in Newfoundland and Labrador, 1766. A.M.Lysaght, Faber & Faber. London, 1971, p35. (2) First Report of the Joint Working Party on the Organisation of Medical Work in Hospitals. H.M.Stationary Office, London, 1967. (3) Is the Health Service for Healing? Risteárd Mulcahy, Liberties Press, Dublin, 2006.